Chelsea boss Antonio Conte has insisted that Spanish striker Diego Costa has no future at Stamford Bridge following his training ground bust-up earlier last season. The 28-year-old has been training alone in Brazil over the past few weeks despite the Blues’ insistence that he should show his attendance in west London. Former club Atletico Madrid are said to have made a club-record bid worth £50m for the marksman, but it appears that the Blues are still playing hardball with latest valuation of £60m. 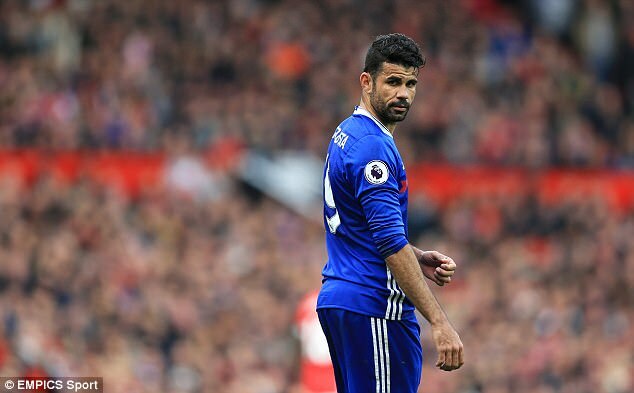 The Premier League holders are expectant to parts way with Costa before this month’s transfer deadline, and they will come to terms with Atletico in the coming days. Chelsea made a poor start to the campaign with a 3-2 defeat at the hands of Burnley in the Premier League opener. However, they have recovered impressively from their home thrashing with a 2-1 triumph over London rivals Tottenham Hotspur this weekend. Conte is on the hunt for at least five signings before the August 31 deadline with a £200m war chest on offer to bolster his squad. ← IS 3-4-3 SYSTEM THE NEW TREND?